Happy Thanksgiving! I am thankful for great family, friends, and my lovely followers! To get me ready for the upcoming Thanksgiving feast here is a YouTube tutorial on Feather Turkey Nails. I tried a more modern approach to create my festive Thanksgiving nails. Hope you enjoy and Thank you! Base color I used is Essie Chin Chilly, Shimmer polishes from Color Club, and Orly Glitz. 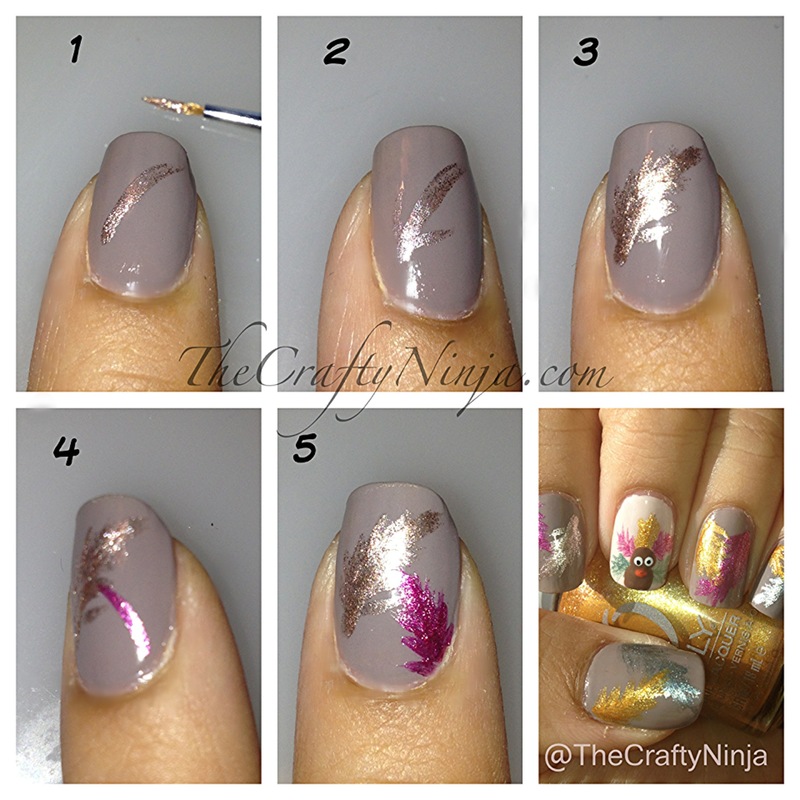 Check out my full YouTube tutorial on how I created my Feather and Turkey Nails.